Are you remembering when your carpet looked brand new? Does your carpet have a stain or two? 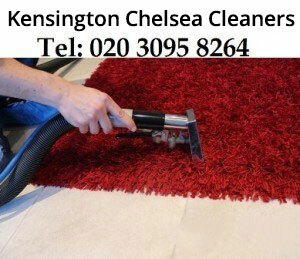 Kensington Chelsea Cleaners can help. We use the newest technology to clean carpets, helping them gain back that “new” look and lustre. We also have some deep secrets on taking those stains out of your carpet. We use ecologically friendly solutions that are safe for children and pets. No need to run out and purchase new carpets. That can be expensive, when all you really need is a deep carpet cleaning. When you contact our carpet cleaners for your rug cleaning needs, our carpet technician will prepare the equipment to quickly have you feeling like you just installed brand new carpeting. Our carpet cleaning technicians have been highly trained to know how to clean you carpets fast and sure. They also understand that some rugs and carpets do have the possibility of “bleeding” certain colours during improper cleaning. They will carefully clean your carpets and you will be happy when they are through. You will probably want to run barefoot all over to feel the clean carpets between your toes. Yes, our carpet cleaners are fast, but your satisfaction and safety are their first priorities. They will treat your home better than gold. Kensington Chelsea Cleaners offers many different varieties of carpet and rug cleaning. Our cleaners are standing by to come and clean your carpet at the hour that is best for you. Contact our cleaning company Kensington Chelsea today and get your carpets cleaned. Call us on 020 3095 8299 for further details on our cleaning prices.